FIFA 15 Promo Code Origin Key, Get an Easy 27% Off! The average price for this game in the past 6 months is $4.99. The game first became 50% off on Apr 18, 2014 at NewEgg. Lowest historic price was $4.99 on Dec 19, 2018 at GameFly. The average price for this game in the past 6 months is $4.99. The game first became 50% off on Nov 21, 2014 at Walmart. Lowest historic price was $8.99 on Dec 19, 2018 at GameFly. The average price for this game since released is $33.65. The game first became 50% off on Nov 21, 2014 at Walmart. Lowest historic price was $7.64 on Jul 21, 2017 at Walmart. Price drop on FIFA 15 today for the PS4 and Xbox One at Groupon. Twenty bucks off the $60 list price. Scores a decent 82/100 on metacritic. The average price for this game since released is $22.15. The game first became 50% off on Feb 14, 2014 at Green Man Gaming. Lowest historic price was $1.99 on Jun 10, 2016 at Origin. Just a week before the release of FIFA 15, GameFly has FIFA 14 for only $4.24 after coupon. Lowest price ever by $5.67 and activates on Origin. If the World Cup has you itching to try out FIFA 14, Origin is betting that you'll want to scratch that itch. Apply promo code "BRAZIL2014" at checkout and you'll get a nice $24 discount on FIFA 14. FIFA 14 hits new low price of $19 at Gamefly Digital during their Spring Sale event. Great game for football fans to slave hours away just to get a crappy player in the gold packs. Hah. The wife is annoyed with me lately because I'm playing FIFA 14 so much on the tablet. I'm thinking the only solution is to buy the PC version. "See honey I stopped playing on the Nexus 7 everything is peachy now." Man marriage is so easy. Lowest ever price on FIFA 14. Activates on Origin. Duh. New lowest price for FIFA 14, beating out the Origin Winter and Black Friday Sale. Sale ends this Friday at 10AM Pacific. Use GFDJAN20UK if you're in the UK to get the deal. The average price for this game since released is $40.81. The game first became 50% off on Nov 28, 2014 at GameStop. Lowest historic price was $9.99 on Apr 1, 2016 at Origin. FIFA 15 for the PC back to its all time low today at Origin. Last time we saw it this cheap was around Black Friday 2014 and a few days in February. Solid $30 cheaper than buying for the $59.99 MSRP. FIFA 15 ties the lowest price ever of $30 at Amazon. So if you're a fan of EA's long-standing soccer series, check out this latest iteration. The September 23rd released FIFA 15 drops to $32 today at GMG after coupon. One of the lowest prices ever, only really bettered for a few days back in late November (week of Black Friday). Took awhile but deal on FIFA 15 (for the PC) is back and kicking. 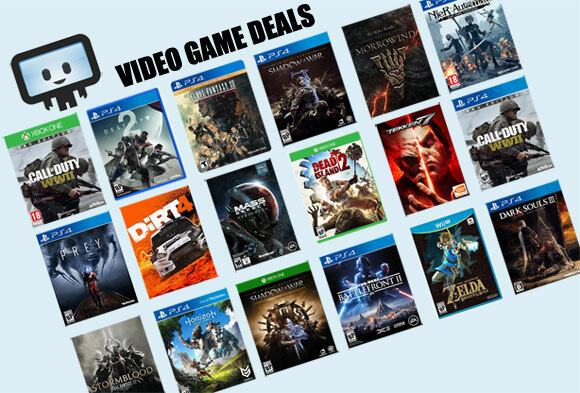 This is a relatively rare deal given EA titles are rarely on sale, especially recently released Triple-A. Origin key. FIFA 15 hits the shelves today and that means sales are few and far inbetween. G2A is one of the few large retailers which have keys available for a discount. Note: G2A may be going with EU release date for these "global" Origin keys of FIFA 15. This deal is for UK/EU only. Which to be honest is still a bit more expensive than the USD version considering exchange rate. But, it beats paying the usual overpriced MSRP. The average price for this game since released is $31.63. The game first became 50% off on Aug 20, 2014 at Groupon. Lowest historic price was $8.99 on Dec 16, 2015 at ToysRus. FIFA 15 about to come out, time to finally discount FIFA 14. Today Groupon has the PS4, Xbox One, 360, and PS3 price tag down to $30. FIFA games tend to hold their value well, as this game is almost a year old and this is the lowest price for the PS4 version by $10. The average price for this game since released is $35.86. The game first became 50% off on Nov 27, 2014 at Best Buy. Lowest historic price was $16.88 on Nov 5, 2015 at Walmart. Though other consoles are much more expensive, today FIFA 15 is only $25 at Amazon for the PS3. Lowest price ever by $5.